Have you ever wondered how Drake became one of the most famous artists in the music industry? Well here’s the story of how Drake went from “0 to 100, real quick,” to quote one of his songs. Although Drake is currently one of the best known hip-hop/R&B artists of this generation, some fans might not know that he actually began his career as Jimmy Brooks from the Canadian teen television drama series, Degrassi: The Next Generation. When Drake attended high school, he had a classmate whose father was a talent agent. Drake explained that, “His dad would say, ‘If there’s anyone in class that makes you laugh, have them audition for me.’ After the audition he became my agent.” Shortly afterward, in 2001, Drake landed his role on Degrassi, a role that he continued to play for seven years. On this show, his character’s role was based on a high school basketball star who became paralyzed after being shot by a classmate. In the middle of his Degrassi career, Drake began writing hip-hop lyrics. Then in 2006, he released mixtapes of himself rapping. He went on to sign a record deal in 2009 that earned him popularity in the United States. 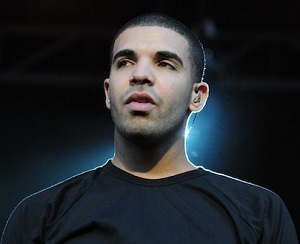 Drake quickly became very relevant in the music industry by dropping hit after hit. After a cast change in Degrassi in 2008 which ended up eliminating him from the show, he received an unexpected phone call from rap superstar Lil Wayne inviting him to fly down to Houston to join his tour. Ever since that phone call from Lil Wayne, Drake has been touring solo worldwide and creating outstanding music. He has also become a common role model for many aspiring musicians—like myself—as he continues dominating the industry.